We have a special treat for you! 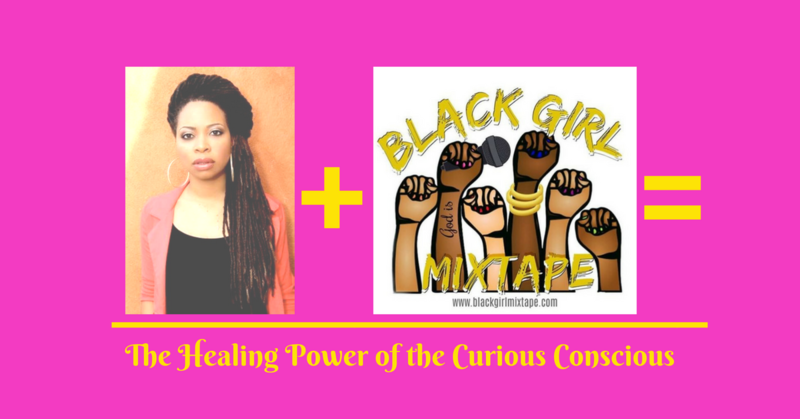 We’ve given you snippets of Thea Monyee’s lecture entitled The Healing Power of the Curious Conscious at Black Girl Mixtape. Weellll now we’ve go the full audio! And Boo we got some healing fo ya! Thea reveals what is at the core of our restlessness and gives us a concrete way to unlock ourselves. Thea Monyee and Ebony Janice will be LIVE ON INSTAGRAM THIS SATURDAY, JUNE 23rd at 8:30pm discussing the importance of decolonizing mental health to liberation. Launched by Womanist, Scholar, Activist, Teacher, Author, Student, Artist, Preacher, Transformational Speaker, Content Creator, and Healer Ebony Janice in 2017 Black Girl Mixtape is a multi platform/multi-city lecture series and digital directory amplifying and celebrating black women as the authority on issues pertaining to blackness & womanhood. For more information about Black Girl Mixtape check them out at www.blackgirlmixtape.com and follow them on IG at Black Girl Mixtape and on Twitter at BlkGirlMixtape. As always if this speaks to you, allow it speak to someone else by sharing it on social or passing it along to at least one person you feel needs to hear it. We also wanna hear from you. Tell us what you think, send us any questions or just show us, Dem Black Mamas and Black Girl Mixtape, some love. Hit us up on social media or email us at demblackmamas@gmail.com or email Black Girl Mixtape at blackgirlmixtape@gmail.com and don’t forget to tune into the the live Instagram with Thea Monyee and Ebony Janice THIS SATURDAY, JUNE 23rd at 8:30pm.